The Color Guard salutes during Emory's Veterans Day flag ceremony on Tuesday, Nov. 11. Navy Capt. Ted Daywalt, president and CEO of VetJobs, makes remarks at the Veterans Day flag ceremony. “We fight for…our family, friends, and fellow citizens,” Daywalt, an Emory graduate, said during the ceremony. 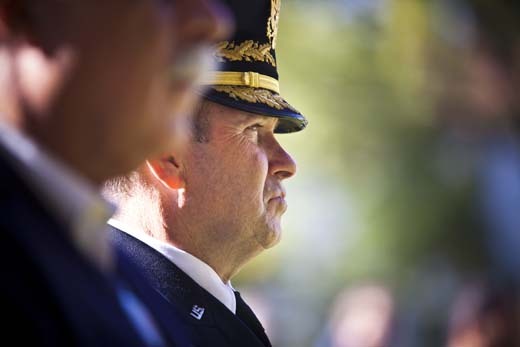 Lt. Gen. Ken Keen listens during the Veterans Day ceremony. 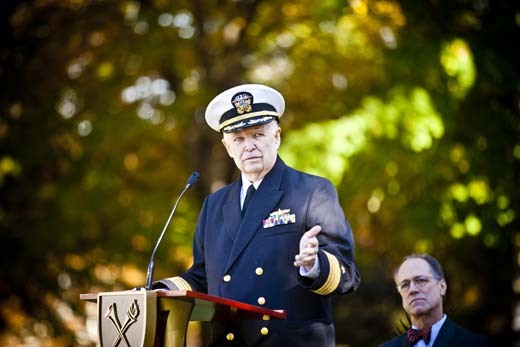 Prior to joining Emory in 2013 as associate dean for leadership development at Goizueta Business School, Keen served in the U.S. Army for 38 years. 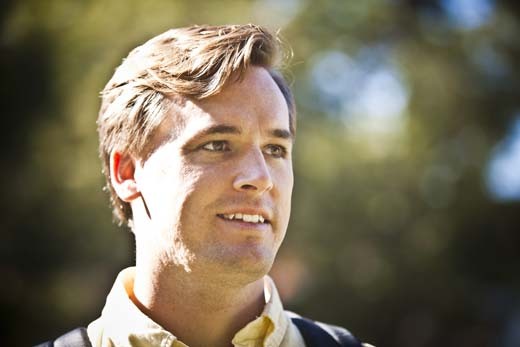 Tom Clark (Goizueta MBA '16) served in the U.S. Army from 2008-2014 after graduating from West Point. His service included two deployments to Afghanistan as an intelligence officer. David Israel Mendez (Goizueta MBA '15) served in the U.S. Army from 2000-2009. He was deployed to Germany and then to Iraq. "Emory was very vet-friendly during the recruitment process," he says. 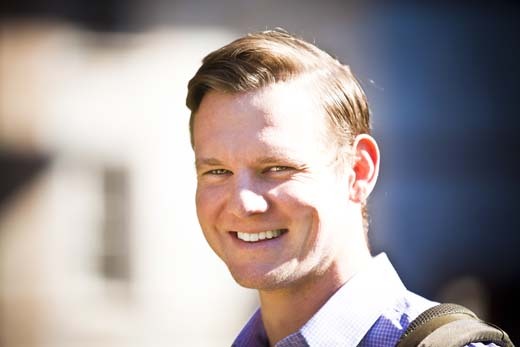 John Fay (Goizueta MBA '16) served in the U.S. Navy from 2010-2014. 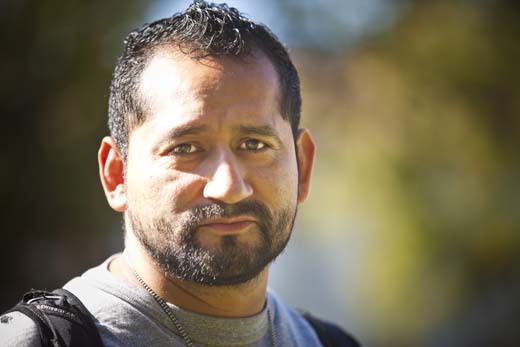 He says he joined the military because he wanted to give something back, develop as a person, and serve our country. 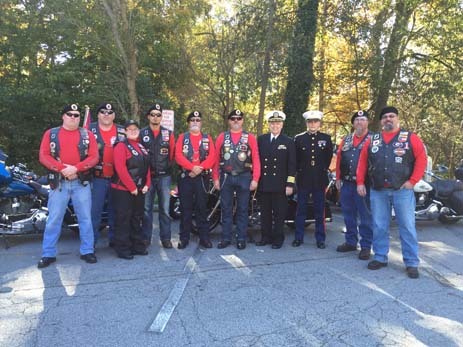 Emory veterans Ted Daywalt and John Reynolds (in uniforms) posed with other Georgia veterans — and their motorcycles — before the flag ceremony. Photo by Julie Winch. 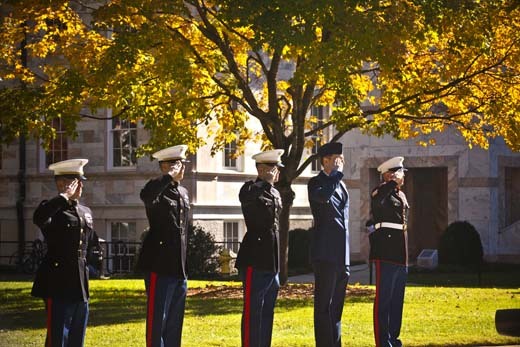 Emory observed Veterans Day on Tuesday, Nov. 11, with a flag salute ceremony on the Quad. Photos by Emory Photo/Video.